Babies are not less when it comes to fashion. 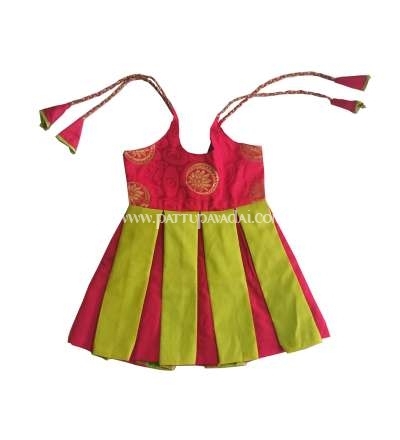 Beautifully crafted for girl babies with dazzling embellishments is a perfect traditional dress to your cute princess. 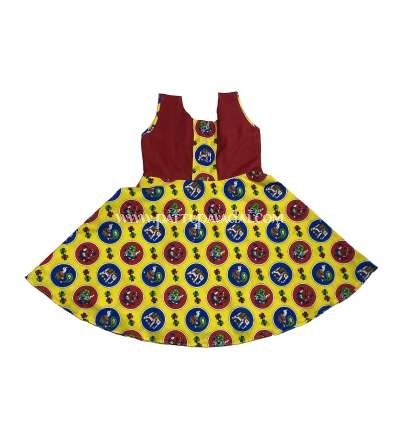 We’ve put together a collection of ethnic girl’s clothing so your little princess feels extra special every time she has to wear ethnic clothing. Whether you have a festive celebration or wedding coming up, all you need is your little one looking at her stunning best. You don't have to worry about the outfit any more as silk frocks brings you beautiful outfit specially designed for your baby. Make your little girls look trendy with the ethnic clothes during the festive season, on traditional occasions or at parties. Here is the attire which is classy and appealing as desired! These raw silk frocks features with light embroidery. Rich in fabric, elegant in style makes it much preferable to appeal showers of compliment as desired. Shopping for little girls or teen girls clothing opens the door on innumerable styles. 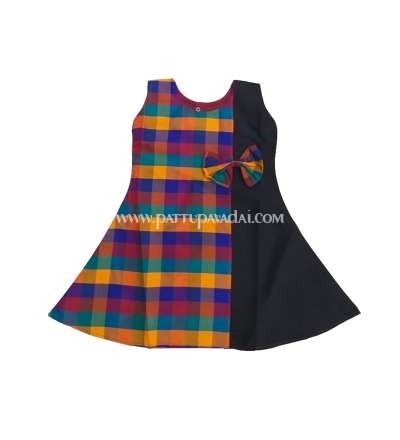 Your little sweetheart will garner endless compliments wearing silk frocks from pattupaavadai.com. Made from soft fabric, our frocks will keep her comfortable while maintaining her style quotient with ease. The colors, designs and patterns with the jamki works and patch works will just grab everyone in the function. Dress her with a classy style statement for festivals and wedding ceremonies with these traditional dresses. Clothing sizes available from 6 months – 5 years. However, sizing tends to vary for little girls. So choose the right size for your little girl from the available sizes. Our collection is unique and colorful. Make your daughter wear our beautiful and traditional dresses and look gorgeous. Let your little one look adorable this festive season when you buy her our pretty ethnic set from pattupaavadai.com. 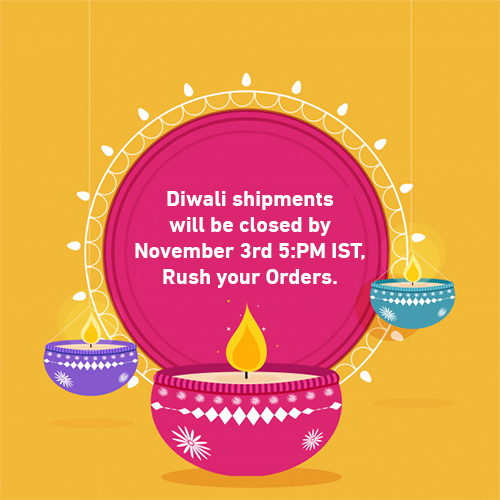 Free shipping anywhere within India. 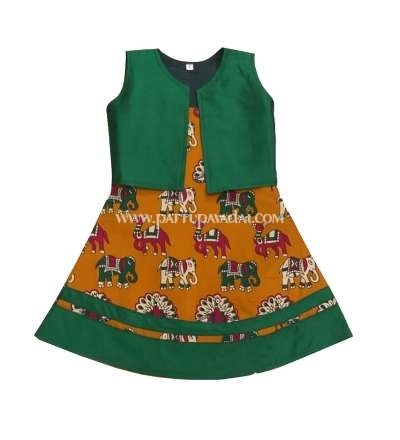 Browse pattupavadai.com to pick the gorgeous outfits for your little princess.